On the most perfect of winter mornings imaginable I decided that I would spend my time at the sheltered bay of Slattadale. 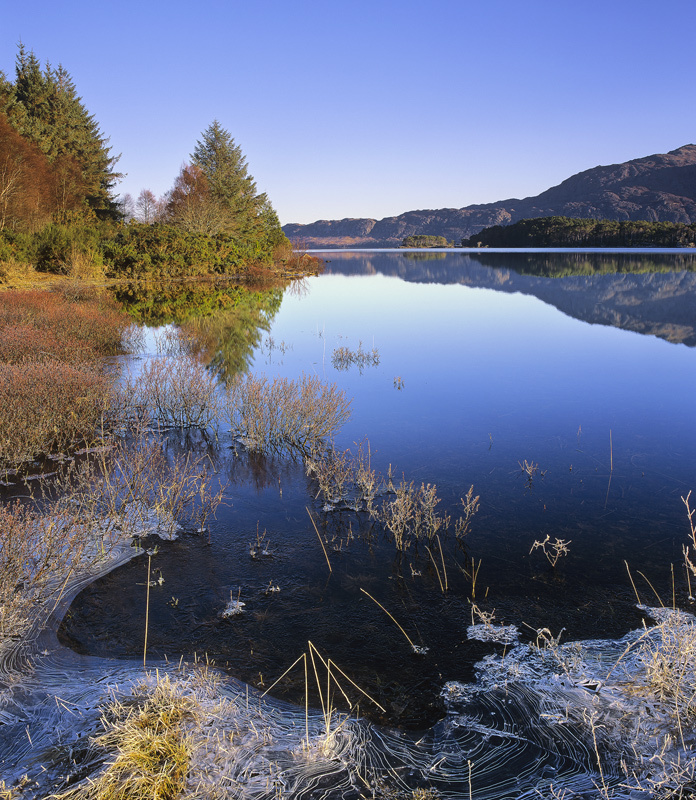 There was not a cloud in the sky, something rarely considered to be perfect for photography, neither was there a breath of wind which enabled mirror like reflections over the vast expanse of Loch Maree. The morning was warm in the sunlight but the edge of the loch had frozen and crazed ice like the contour lines on an Ordnance Survey map, fringed the shoreline. It made a superb forground detail.